I own a rubbery V2 B Gamorrean Guard Axe. I recently picked up a Gamorrean Guard with an axe. 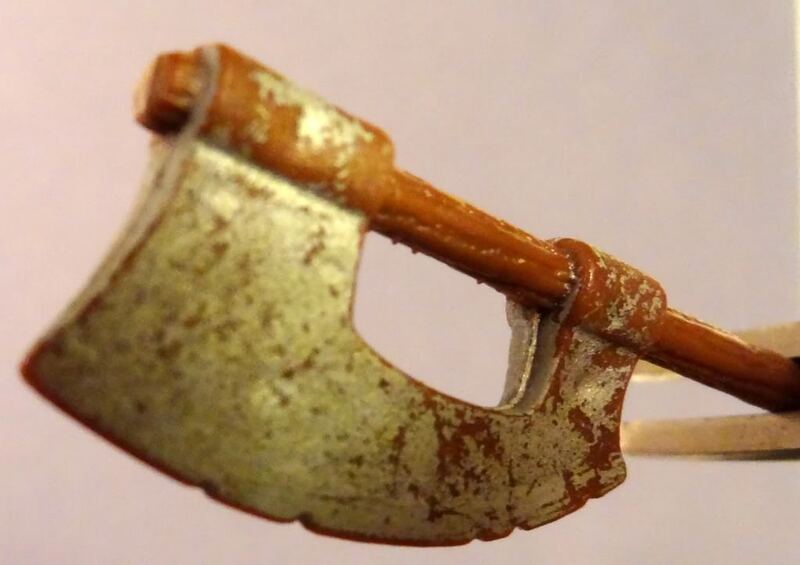 The silver axe paint is worn off. The axe is stiff, but bends well—won't snap. The staff sinks when placed in water. The staff resembles a V3 B. I see numerous plastic blobs on the wood portion below the axe. 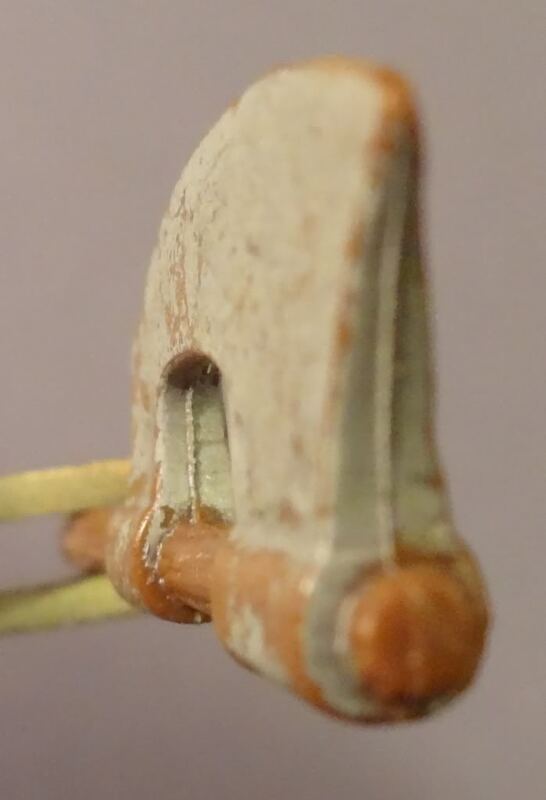 Even though the paint wearing off could be “age” or “play” related, it could be a bad REPRO paint job. I am leaning to good on this one, but a second opinion is always helpful. Thank you very much. I love this Forum!! I'll compare the finer details of your pics with my examples, but based upon the fact that yours is made of plastic & sinks in water it's potentially good IMO. Thank you for detailed search. Never easy. I appreciate the time you took. I've compared my new axe to TIG photos and others off the internet; my new axe is not falling into known variants. The axe is now in limbo. That is a safe place for it.